A new study of the East Antarctic Ice Sheet's response to past warm periods has unsettling implications for the magnitude and timing of sea level rise as global warming continues. Until recently, most of scientists' concerns were about the instability of Greenland and the West Antarctic Ice Sheet, but that is starting to change. Why it matters: The study, published Wednesday in the journal Nature, reveals the history of ice retreat and expansion in the Wilkes Subglacial Basin, in the southeastern corner of the East Antarctic Ice Sheet. The fate of the Antarctic Ice Sheet represents one of the largest uncertainties in climate science. How they did it: An international team of scientists drilled into the ocean floor off the coast of the Wilkes Subglacial Basin to obtain sediment cores. They then analyzed the chemical composition and other properties for clues about past glacial behavior. The researchers unearthed this sediment from the deep and examined how this part of East Antarctica responded to warming during the late Pleistocene Interglacial periods, between ice ages in the past 450,000 years. What they found: The study concludes that a sustained, moderate amount of warming, on the order of 2°C, or 3.6°F, would cause significant melting of the interior ice that lies below sea level in this region. This could raise global sea levels by 3 to 4 meters, or up to 13 feet. What they're saying: "Over the last few years, a picture has started to emerge of [the] vulnerability of low-lying areas of the East Antarctic Ice Sheet to temperatures only a few degrees warmer than today," study lead author David Wilson, a researcher at Imperial College London, told Axios. "What we are now demonstrating... is that this region of Antarctica is even more sensitive to regional warming than previously recognized." Wilson said gaining a better understanding of glaciers' historical movement will help researchers accurately project future sea level rise. Richard Alley, a climate scientist at Penn State who was not involved in the new study, told Axios via email that the new study improves our understanding of East Antarctica's fragility. "There is a long way to go to combine this new evidence with other research to improve estimates of future sea-level rise from different levels of warming, but it does add to the growing body of evidence that we could soon commit to large sea-level rise," he said. 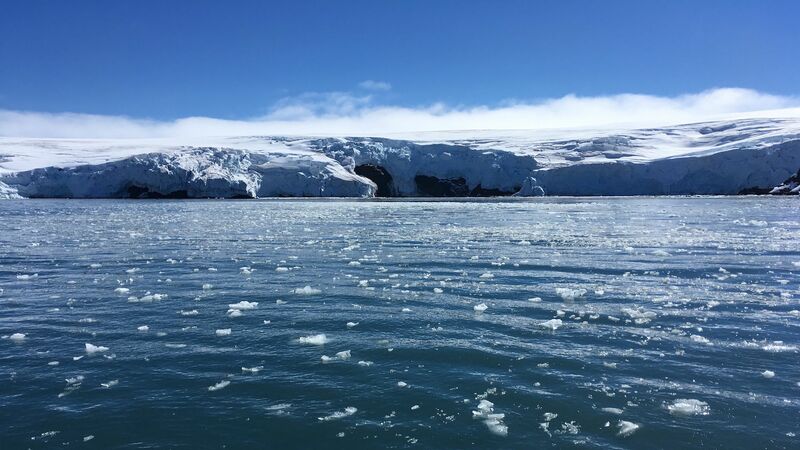 Isabella Velicogna, a professor at the University of California at Irvine, told Axios that this paper fits the theme of other studies coming out of East Antarctica, all showing it's "less stable than we have thought." She was not involved in the new study.